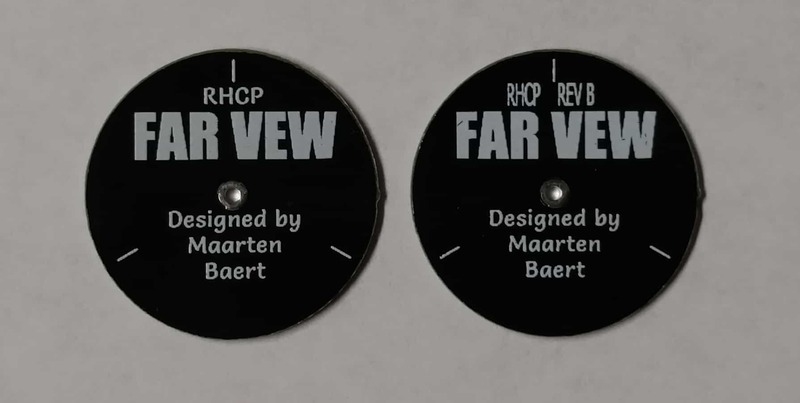 It has been quite a while since Maarten Beart's design has come out and now totally reshaped the FPV scene. Because the design uses common PCB material, they are fairly inexpensive with a nearly perfect axial ratio, and most of all they can be built correctly and accurately at the work bench (with a well-made jig) compared to our old go to: the skew and clover. Anyway, I think it is obvious how revolutionary this approach is and how tremendously it has affected on our hobby. (There are numerous fundamental and technical advantages, but this is already turning out to be long enough) With all of that being said, there is one thing that the Pagoda-2 design does not account for--a much-needed cover when it is used as a TX antenna on such aircraft as our race kwads that (lets face it) seem to get abused. With a cover placed over the Pagoda-2, it shifts the center of frequency down anywhere from 100-250mhz and decreases the axial ratio, as well as affects the radiation pattern. Though even with the adverse affects of a cover, they obviously perform well enough to take over the market. The "Rev B" was introduced by Maarten Beart after testing the Pagoda-2 with the covers installed. After taking measurements, he re-tuned the the design to account for the cover and bring the axial ratio back to near perfect, and he fixed the radiation pattern, allowing us to protect the antenna and still get the absolute best performance possible. The Pagoda-2 is still best used as a receiver antenna without a cover or on aircraft that is less prone to crash damage. We suggest using the Rev-B in any scenario where you would put a cover on a Pagoda-2 to negate performance loss with a cover. Rev B requires a cover to work properly.